It’s hard to imagine this now, but there was a time when I didn’t know that the startup community existed. I was searching for my place in the world. A place where I can explore the unknown, invest my energy into something meaningful, something bigger than me. An unexpected breakthrough came to me upon meeting Uldis, taking a job offer at Infogram and traveling to the PIRATE Summit. It was like a portal that opened up right in front of me, promising me everything I had been searching for. (I know, sounds too good to be true). A week later, I went to my first TechChill and the people I met, the things I learned – all reinforced my initial hunch – I belong here. They also ended up being the same people I have been working with for the last few years. 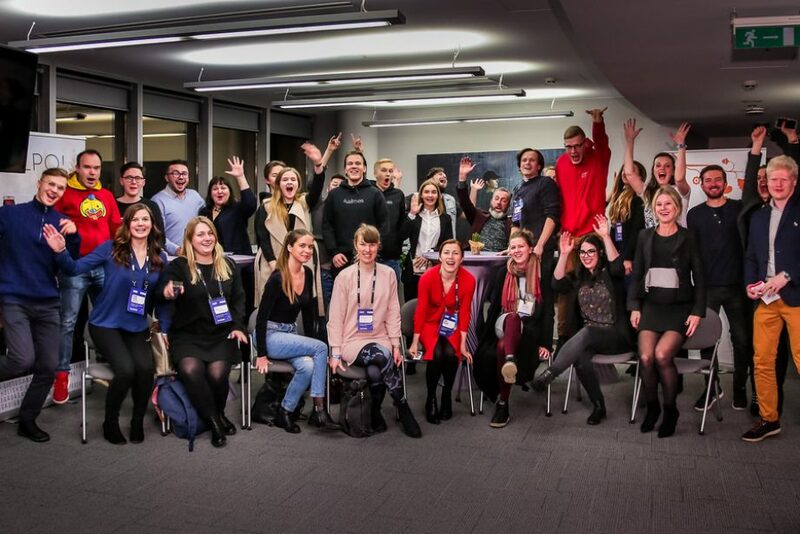 After some time working at Infogram, attending nearly all meetups in Riga and traveling to quite a few conferences, I caught myself falling further in love with the startup community, its culture, and its people. But now that I had found my community, I needed to find my place in it. Which is when I came across a position that seemed to be written with me in mind – a community manager. But, back then very few people knew what a community manager was and to my recollection, no one I knew closely actually worked as one. But I persisted, I shared my ideas with the people I met. And then one fateful day, I got a phone call from Marija. TechChill was thinking of adding a community manager and I was the first person she thought of for the job. This was it. This was the moment I had been waiting for but the decision wasn’t as obvious as it seems now. You see, I had been struggling a little at Infogram and out of stubbornness I wanted to persist and prove that I can save what I had started there. So I had to make a decision between staying with Infogram, which at this point was a stable company with good growth opportunities OR go for TechChill, a non-profit with an unclear future, but a chance to try out that something that seemed to be my thing. Well, needless to say, I overcame my ego and leaped into the unknown. Lesson 4: Learn, build, grow! This would be a good moment to say, and the rest was history, but that’s not where the learnings end. This May, at the EMERGE conference in Minsk, I got a wonderful opportunity to reflect upon my two seasons at TechChill and deliver a talk about what it takes to build a community. When I started there was no prescribed formula I could follow, I had to apply the learning-by-doing method, believing my gut feeling and figuring out the steps as I went along. But it all rested on one crucial element – trust. The reality was, that when I started there was no prescribed formula I could follow, I had to apply the learning-by-doing method, believing my gut feeling and figuring out the steps as I went along. But it all rested on one crucial element – trust. The trust that Marija and Kristine had placed in me figuring out how to go from a contact list to having partners in our target markets and a network of people we can reach out to. Being human is the key to creating a space where others feel good about themselves, where name tags and positions don’t matter, and people are brought together by shared values and a desire to collaborate. While being human sounds simple, there is one thing everyone who is working towards building startup communities should keep in mind – there is no ME in community-building. The EGO must go out the window. There is no way you can build something bigger than yourself if you place yourself in the first place. And somehow, magically, when you work for the community, for those bigger goals, giving more than you’re asked for – your work will speak louder than you ever could. And I want to add one of the key principles I learned at the PIRATE Summit that works perfectly for community building – First Give, Give, Give, and then Ask – when you approach people with a willingness to help, magic happens. It’s not only the community network that was built during my two years (on and off) at TechChill. Working on common goals, with some of the most dedicated people, so much more has happened. There were great friendships made, crazy ideas shared, new projects started and finished. And the more you do, the more you learn – or as my mom told me – the more you learn, the more you understand how much you don’t know. Same applies to community-building. The last couple of months were crazy, running from events to projects. I don’t know when, but at some point, I stopped listening to that voice inside of me. It was Kristine, who noticed that and caught what I was missing in all the noise. Out there, there is still so much I want to do and so much I want to give. Projects that are bigger than me are calling and waiting for me. And it wouldn’t be me if would ignore this voice inside of me to take on new challenges and new opportunities to learn and grow and to venture into territories less traveled. And while growing myself, help make this startup ecosystem a better place for those who do and those who dare. And that is exactly what I will focus on from now on – being more involved in the development of the startup ecosystem. That being said, one thing remains true – you can take a girl out of TechChill, but you can never take TechChill out of the girl. This event, this foundation, and this community have and always will have a very special place in my heart. TechChill is and always will be the place that has shown me who I am and where I belong! Thanks to all the colleagues who came along with me on this journey and thanks to every single community partner and friend, that has taught me so much and that pushed me to grow and learn and become not only a better professional but a better person.